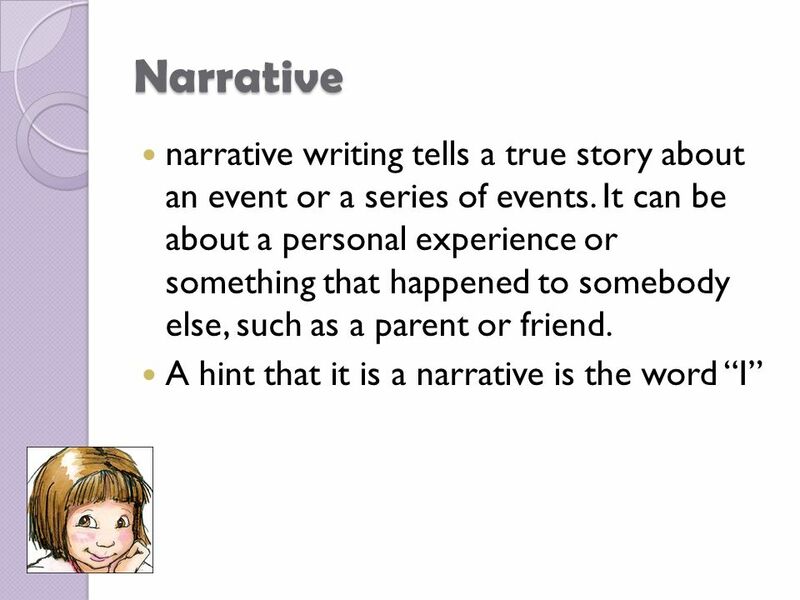 Mrs. Williams’ Literature Study. Day 1: Journal Prompt How did you feel the first day of school? 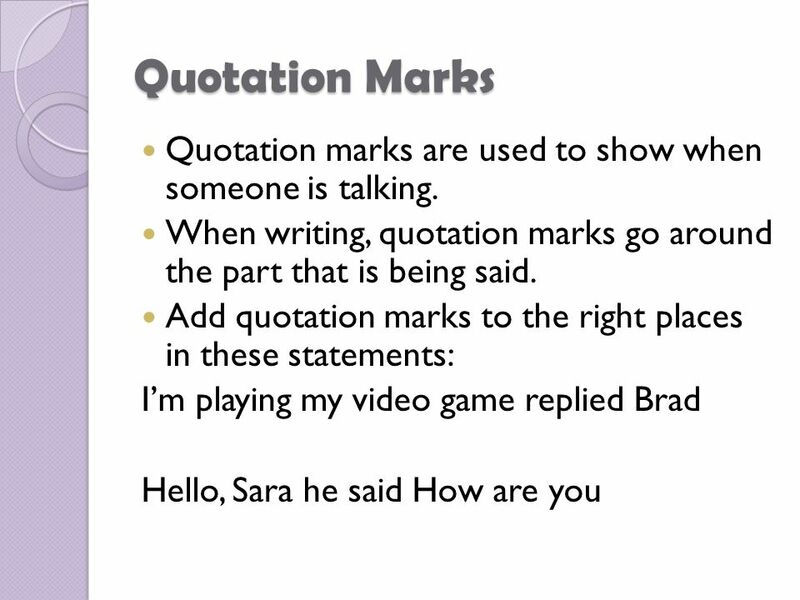 Did you know anyone in your new class? Tell me all about. 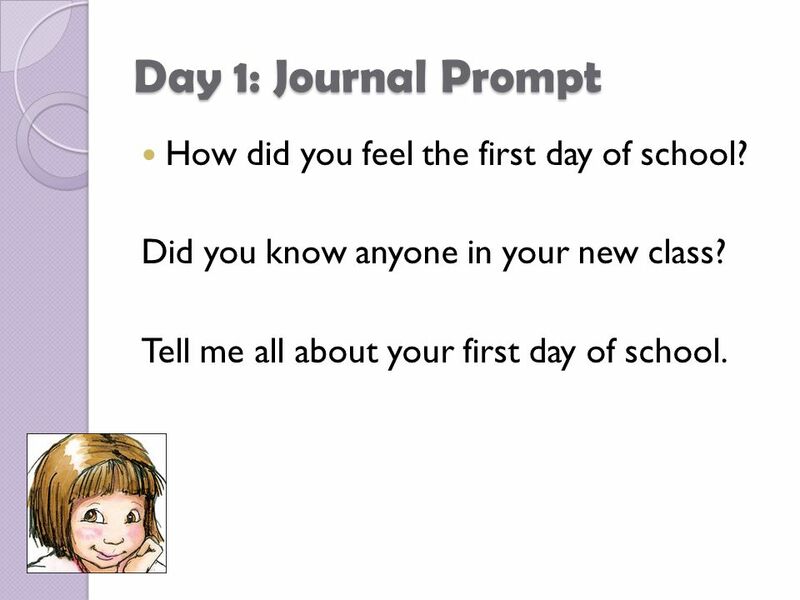 2 Day 1: Journal Prompt How did you feel the first day of school? Did you know anyone in your new class? Tell me all about your first day of school. 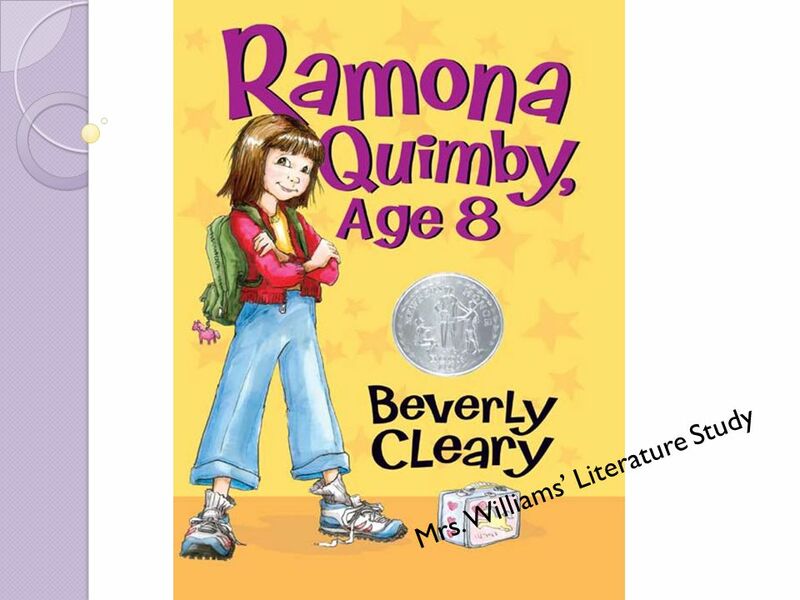 5 Day 2: Journal Prompt Danny is bullying Ramona at school. Have you ever been picked on? Tell about it. 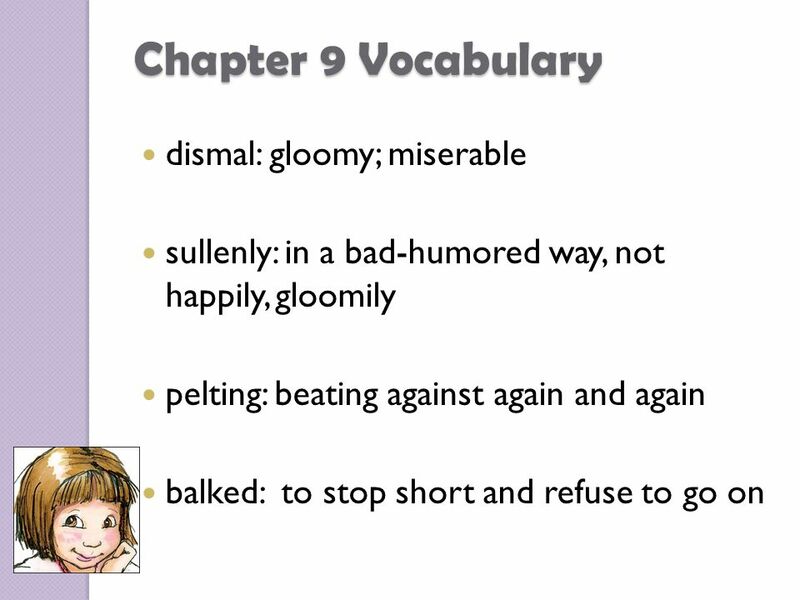 6 Chapter 2 Vocabulary horrid: extremely disagreeable; offensive, dreadful. dismount: 1. To get off or down, as from a horse. 2. To get out of a vehicle. 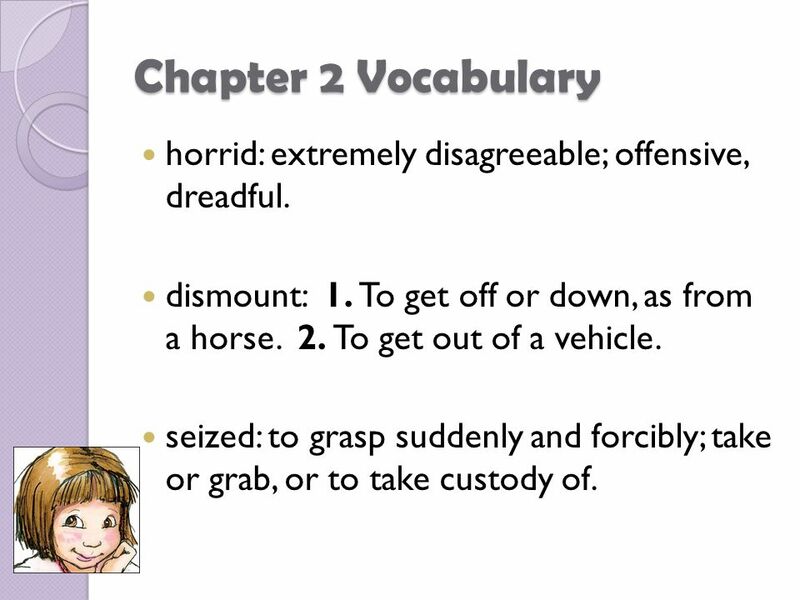 seized: to grasp suddenly and forcibly; take or grab, or to take custody of. 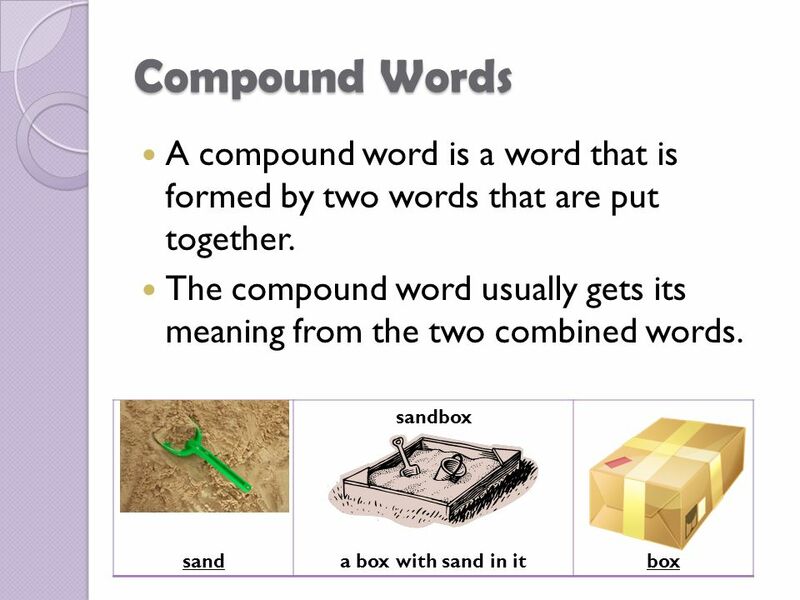 7 Contractions A contraction is a shortened form when two words are put together. 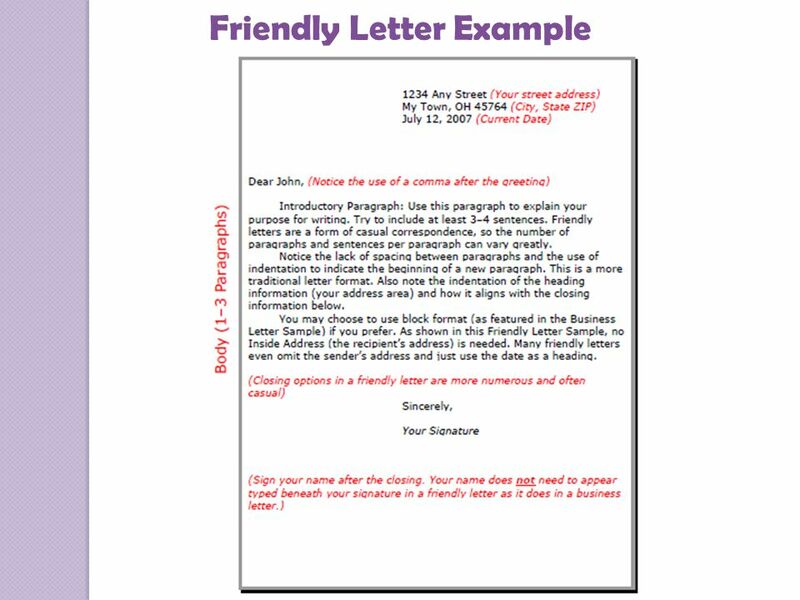 Some of the letters are left out and are replaced by an apostrophe. 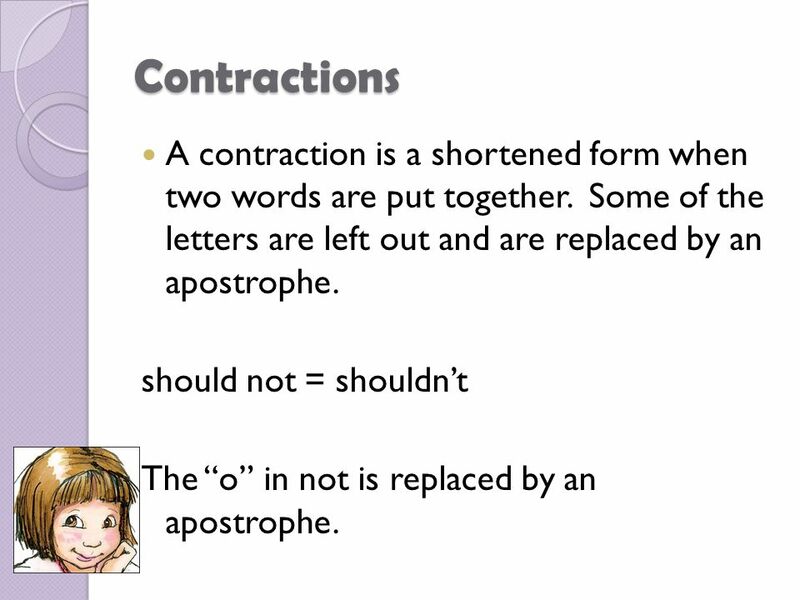 should not = shouldn’t The “o” in not is replaced by an apostrophe. 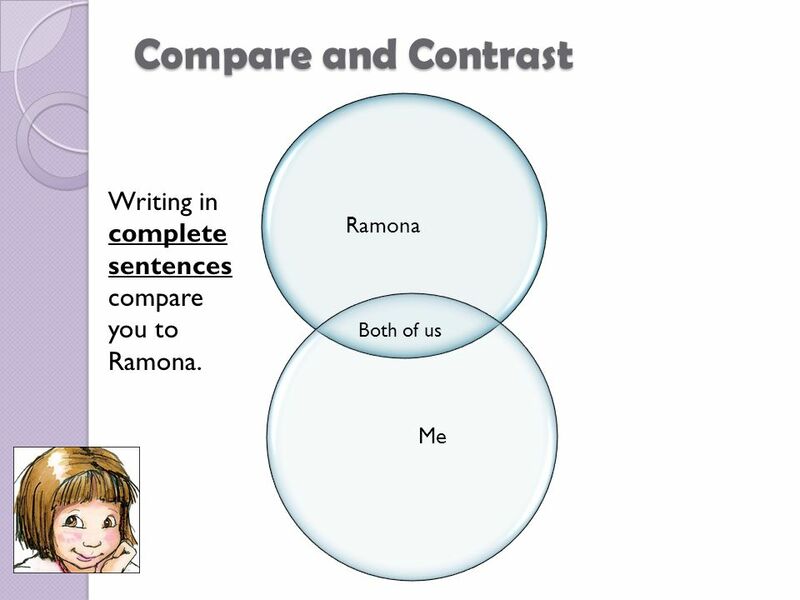 8 Compare and Contrast Ramona Me Both of us Writing in complete sentences compare you to Ramona. 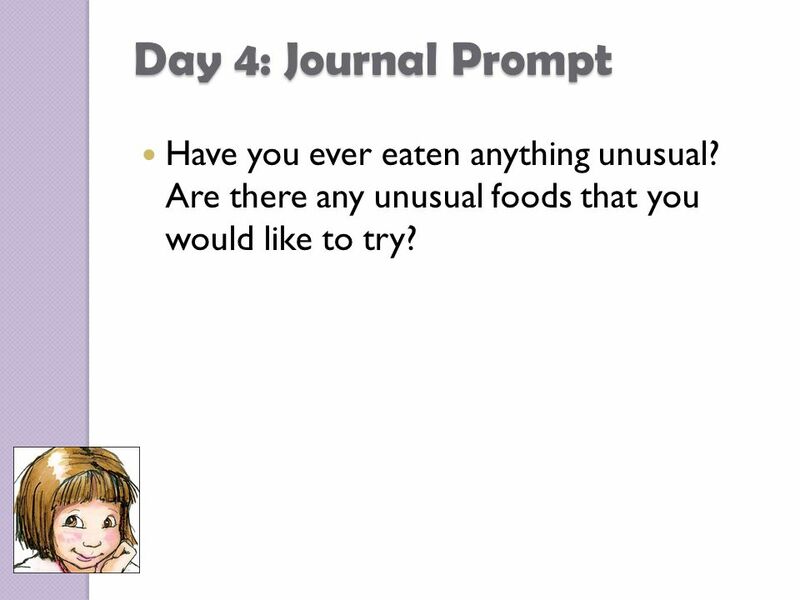 11 Day 4: Journal Prompt Have you ever eaten anything unusual? 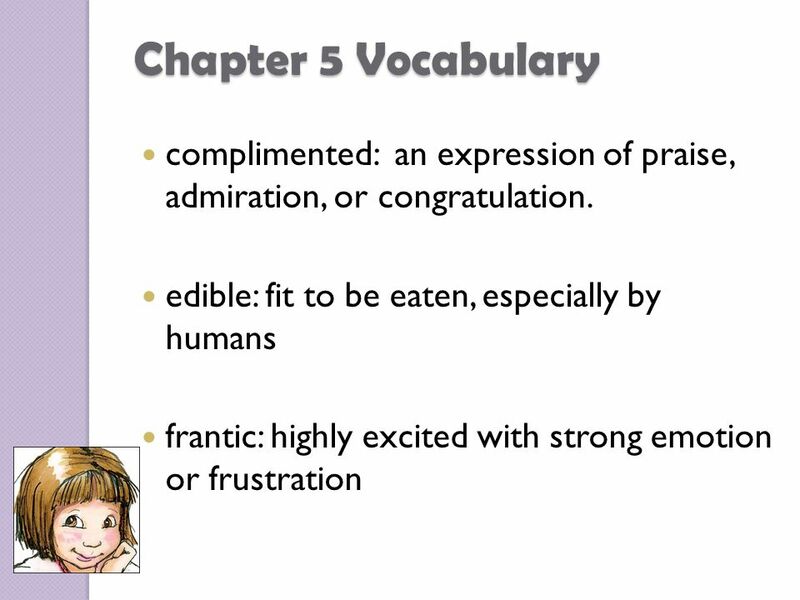 Are there any unusual foods that you would like to try? 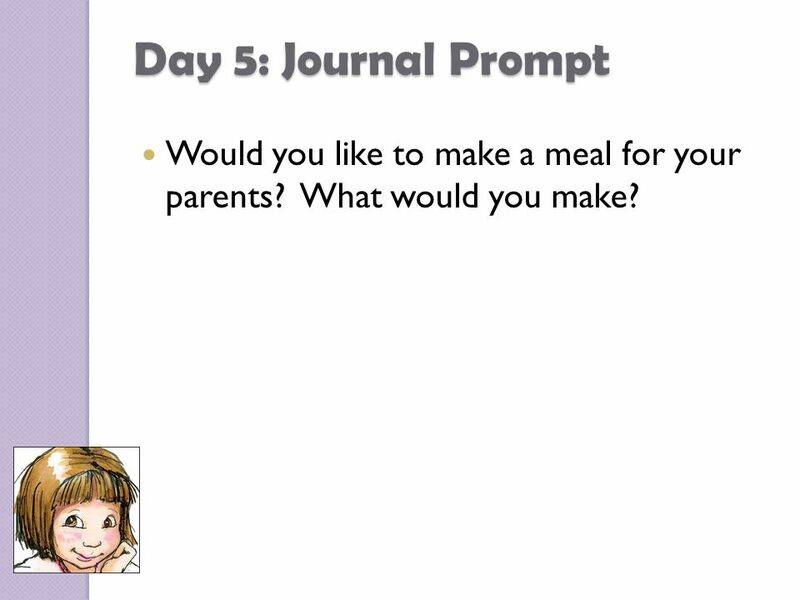 13 Day 5: Journal Prompt Would you like to make a meal for your parents? What would you make? 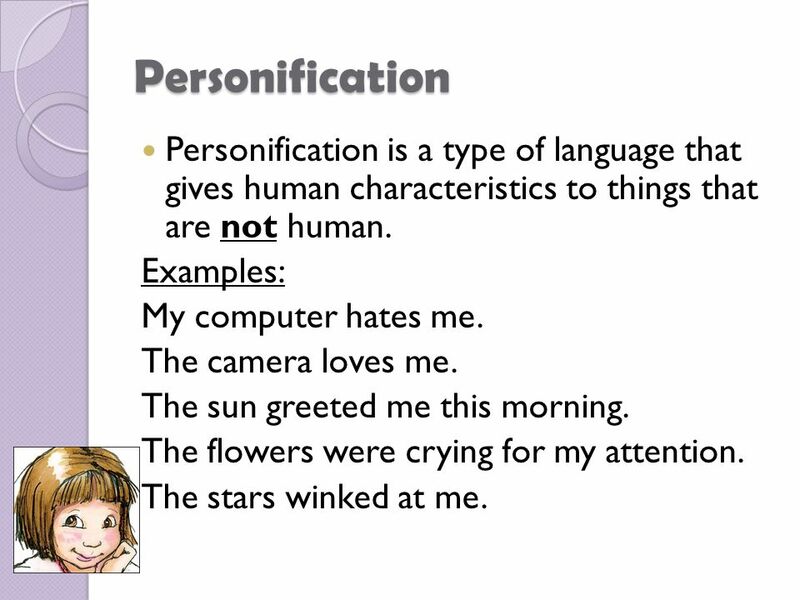 19 Personification Personification is a type of language that gives human characteristics to things that are not human. Examples: My computer hates me. The camera loves me. The sun greeted me this morning. The flowers were crying for my attention. The stars winked at me. 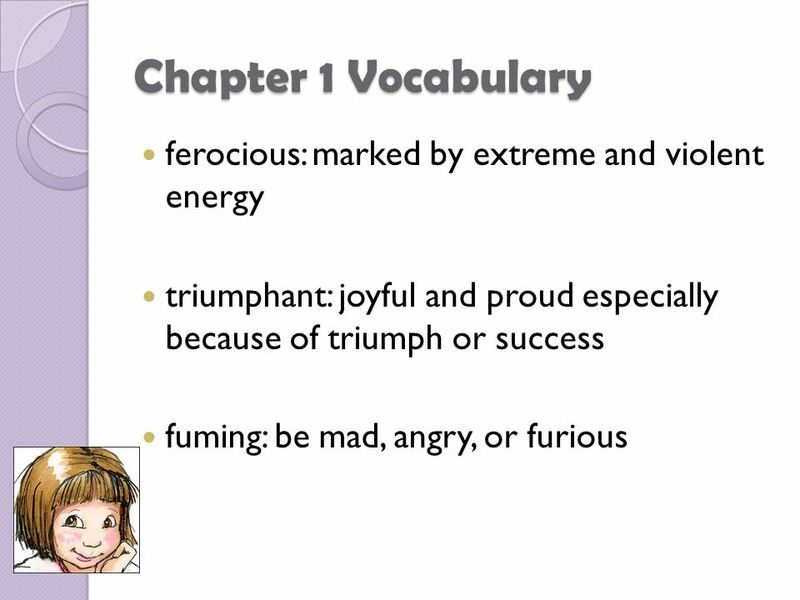 21 Chapter 8 Vocabulary thrive: to grow vigorously; flourish beckoned: to make a signaling or summoning gesture or to be inviting. accuracy: precision; exactness mischievous: playful in a naughty or teasing way. 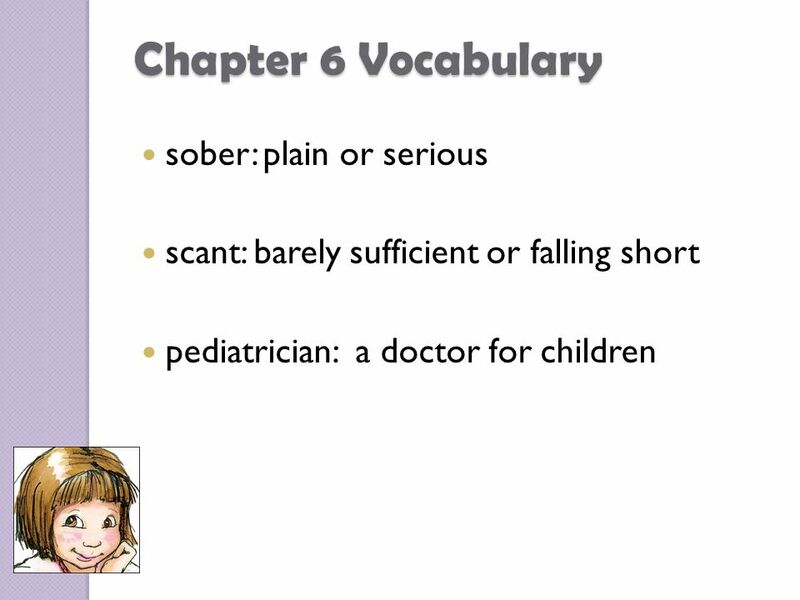 Download ppt "Mrs. Williams’ Literature Study. Day 1: Journal Prompt How did you feel the first day of school? Did you know anyone in your new class? Tell me all about." What does the School Counselor Do? Pittsville Elementary School. 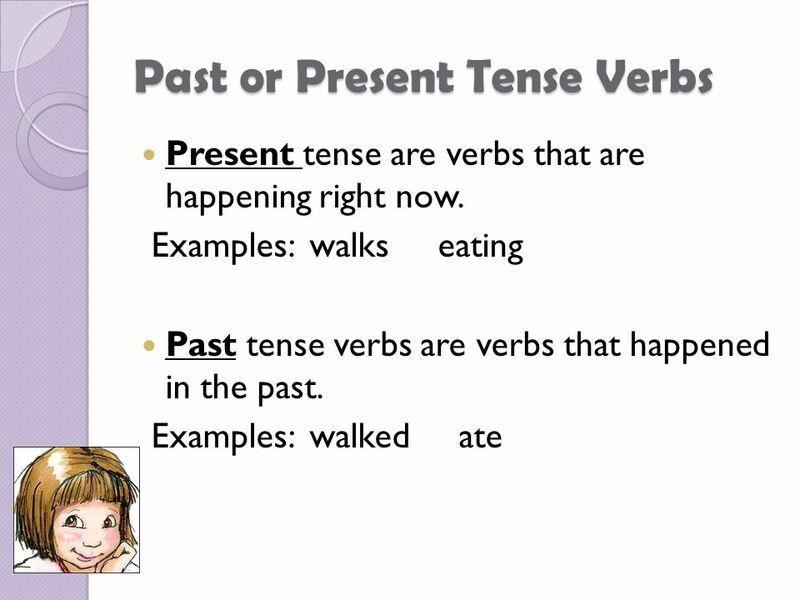 Genre Comprehension Strategy Comprehension Skill. Lesson Series on WWII Anne Frank. Bullying is the kind of teenage problems. listening.  Negative world – Movies, Video Games, Television Shows, etc. 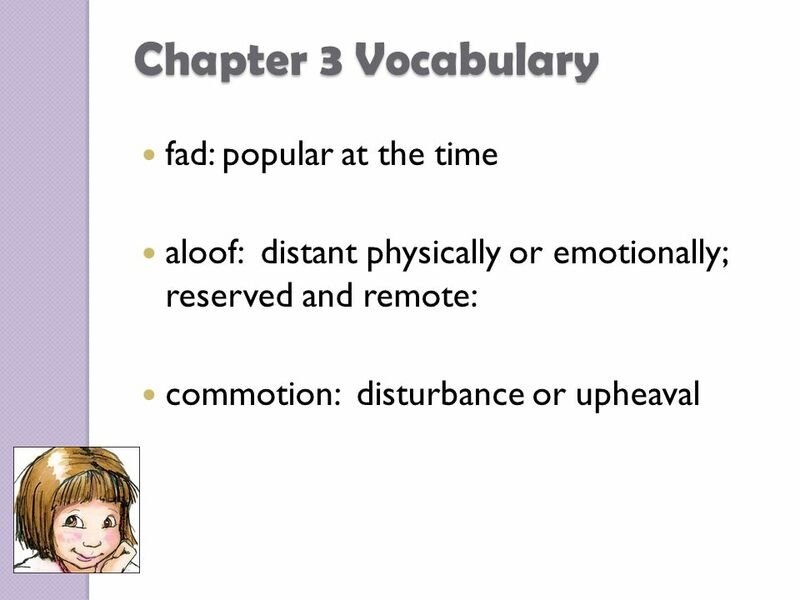  Bullying  Comprehension  Brings out the positive in every child  Positive Atmosphere. 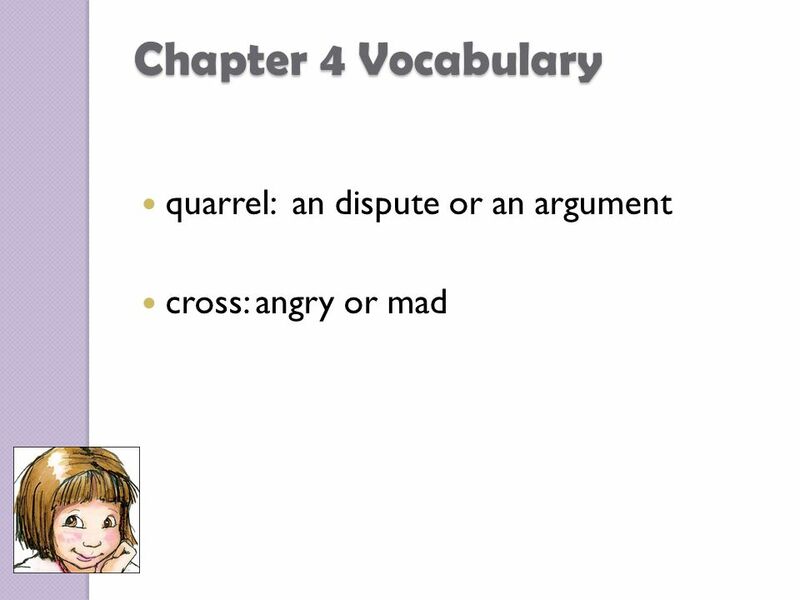 Anger Social Skills Unit What is anger? 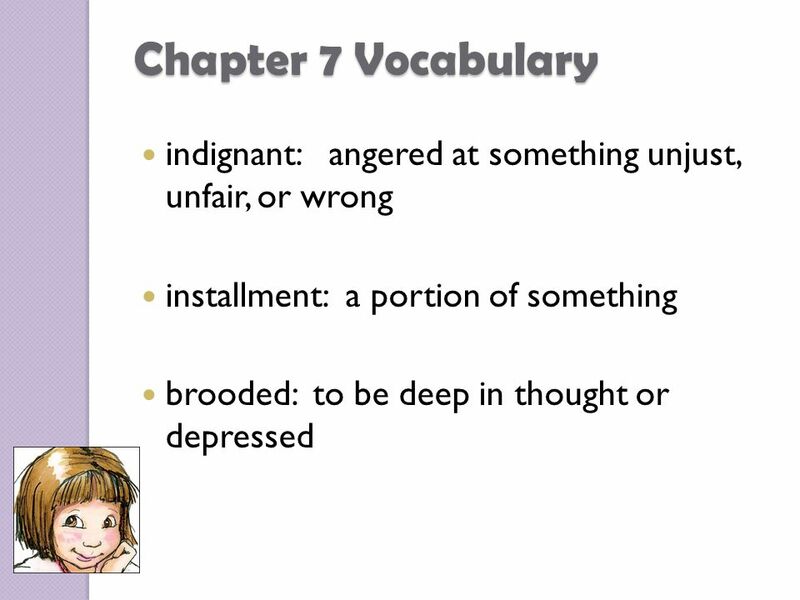 How do you feel when you are angry? What can we do when we are angry to calm down?